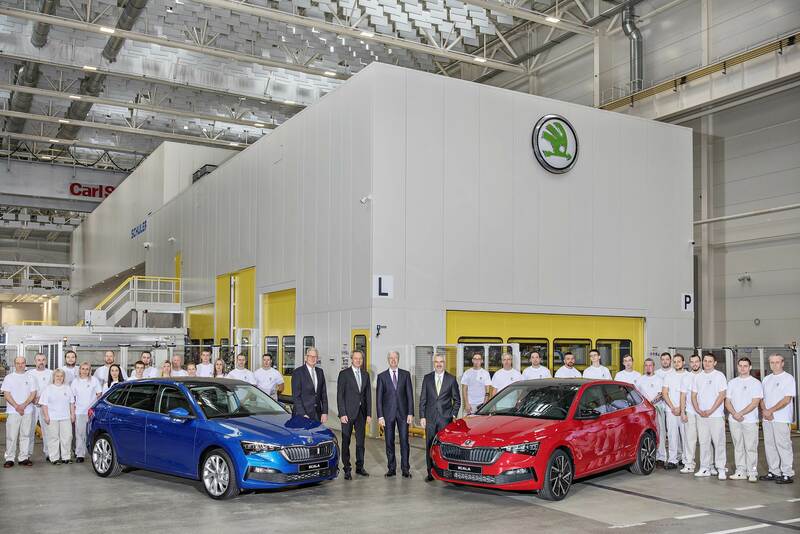 The first Skoda Scala compact car has rolled off the production line at Skoda Auto’s main plant in Mladá Boleslav. The Scala is the brand’s first model to be based on the Volkswagen Group’s MQB-A0 platform. Michael Oeljeklaus, Skoda Auto Board Member for Production and Logistics, said: "The start of production of the all-new Skoda Scala is a very special occasion for the entire company, especially for our workforce. The new model was designed and developed in Mladá Boleslav – and it will be built here from today, as well." The Scala is the brand’s first model to be based on Volkswagen Group’s MQB-A0 platform. This enables the use of innovative assistance systems from higher-tier segments and provides even more safety and comfort in the compact car segment. Alongside Lane Assist, Skoda offers Blind Spot Detect or Side Assist with Rear Traffic Alert, and Adaptive Cruise Control for the Scala. Full-LED headlights and tail-lights are also available. The Scala is the brand’s first European model to feature ‘Skoda’ in block lettering on the tailgate.